iChart Data Flags - NexSens Technology Inc.
Data flags can be used in iChart to filter data before it is saved. Note that using this feature will cause data to be filtered before it enters the iChart database and the filtered data won’t be retrievable. Data can also be filtered after it has been saved and processed using iChart report tools. To set up data filtering, open the current iChart project file and click Project | Setup iChart Data Flag. The iChart Data Flag window will appear. 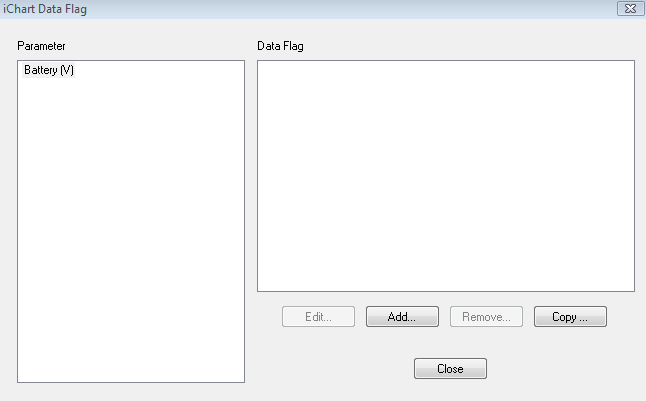 Select the parameter for which a data flag will be set. Note that Battery (V) is used only as an example. Click Add. The Define Data Flag window will open. 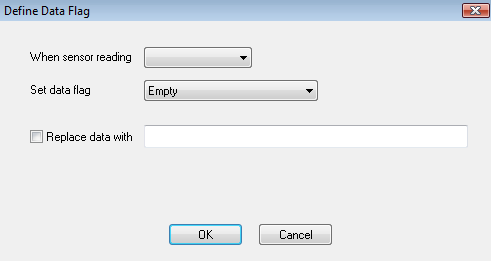 Check Replace data with to set up a custom description. Click OK. Note: the value -100000 means the iSIC data logger was unable to communicate to a sensor connected to it. Note that the value returned from the iSIC is not exactly -100,000. Thus, to compare to this value, use greater than AND less than logic.